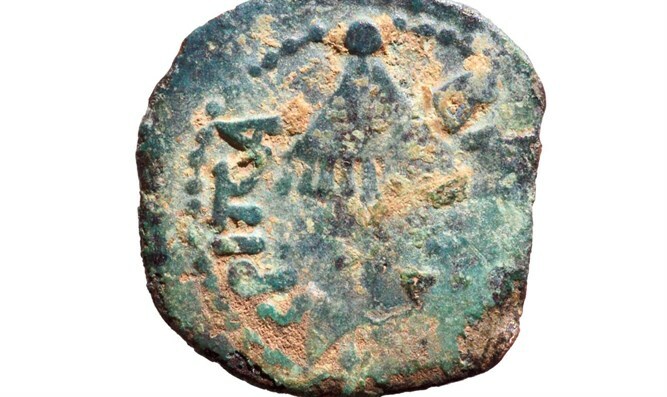 JERUSALEM — An Israeli boy who recently took a school trip to the Shilo Valley found a coin during his visit that turned out to be linked to the biblical king Herod Agrippa, who is stated in the Book of Acts to be responsible for the death of Jesus’ disciple James, and for jailing Peter, who later escaped with the aid of an angel. According to reports, the student contacted the group leader about his find, who in turned reached out to the Coordinator of Government Activities in the Territories (COGAT). The coin features three stalks of grain on one side, with the inscription “King Agrippa” on the other side, along with a royal canopy. Agrippa I is the grandson of Herod the Great, who sought to have Jesus killed following word of the savior’s birth. Christian News Network reached out to the Pennsylvania-based Associates for Biblical Research (ABR) to obtain feedback about the find. The organization advised that its dig staff had likewise unearthed a coin bearing the name of King Agrippa. “Shiloh boasts a rich numismatic corpus, as evidenced by this find. The ABR excavation at Shiloh has yielded almost 200 coins, including this exact coin of Agrippa I,” said dig director Dr. Scott Stripling. Other ancient coins that have been unearthed in recent years include the discovery of a coin depicting the Roman emperor Nero and a treasury of coins dating to the Great Revolt.